Kelly Higgins is an Advanced Registered Nurse Practitioner (ARNP) with over 20 years experience working in the field of geriatrics including community health, long term care and acute hospital settings. 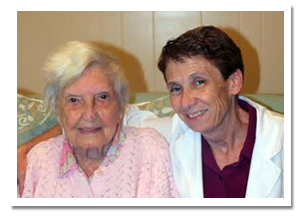 For the past 12 years she has specialized in residents that have dementia. She graduated with a Master’s Degree from Andrews University in Southwest Indiana. Kelly makes personal visits to all of the Bridgeport Senior Living Memory Care Homes. She is well known & respected for her high quality care & ability to communicate with patients, families & other health professionals.